Business by Nexoc. Nexoc launches a genuine business laptop that features a docking port, TPM and matte screen dubbed B510. Our review reveals whether the device is a match for the business models from the well-known competition. Nexoc itself does not build any laptops. It sells devices based on barebones from Asian manufacturers under its own label. The B510's equipment can be customized and is available in innumerable configurations. But more about that later. Nexoc uses Clevo's W255CEW barebone as the basis for its B510. Our test device sports Intel's Core i5-3360 dual-core processor. It has 8 GB of working memory available and Intel's HD Graphics 4000 GPU projects the content on the screen. 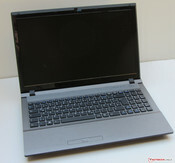 A 256 GB solid state drive and a DVD burner are also installed in the laptop. We used Fujitsu's Lifebook E782 and Dell's Latitude E5530, both with Intel's Core i5-3360 and Intel's HD Graphics 4000, to classify the laptop. The B510's entire casing is plastic. 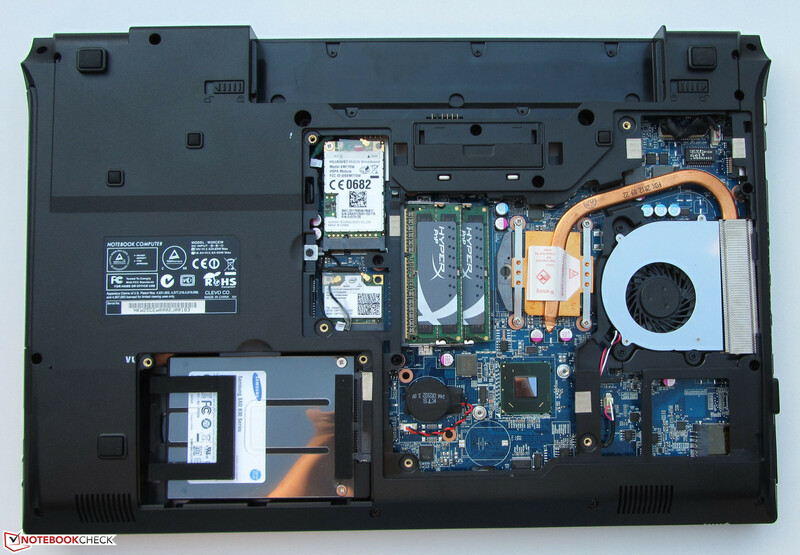 The Lifebook E782 and Latitude E5530 have more to offer here. The lid's back of both devices is comprised of metal (E782: magnesium; E5530: aluminum). The B510's lid's back and base unit's top exhibit a charcoal black color. The surfaces of the wrist rest and display's back feature a textured surface that proves to be quite resistant against fingerprints. This texture could be described as "brushed plastic". Both the base unit's bottom and the display bezel are made of black plastic. The Nexoc laptop exposes matte surfaces almost everywhere. Only the display bezel is glossy. The choice of colors and surfaces all indicate that the B510 is an office device. We find the choice of colors and materials in both contenders more appealing, but that is a matter of personal taste. The casing makes a robust impression. The base unit only yields marginally under pressure. Its stiffness is also satisfactory. The device's base unit only warps slightly when the device is picked up at its front corners. In return, the lid can be twisted without much effort. The two hinges keep it very firmly in position. However, the hinges are pulled too tight for opening the lid with one hand. The interfaces of Nexoc's B510 and the Latitude are almost identical. However, the B510 sports more USB 3.0 ports than Dell's laptop. Only the Lifebook E782 features a DisplayPort. 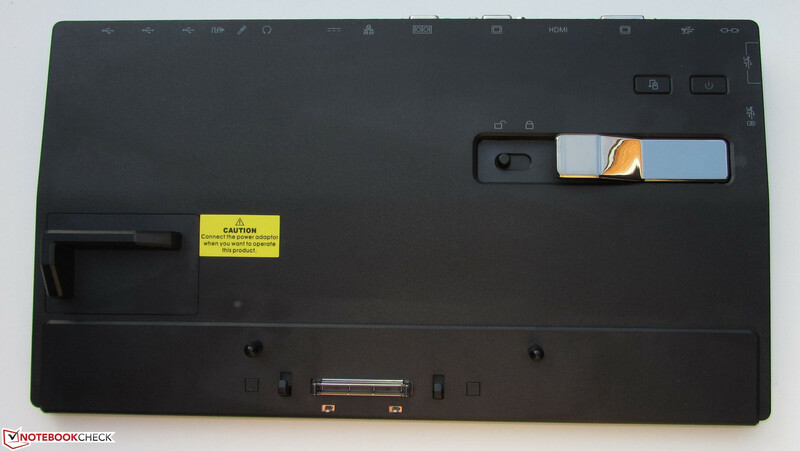 Dell's and Nexoc's laptops both have an HDMI port. The Fujitsu laptop will be the first choice for users who need a laptop with a serial interface. Nexoc's B510 sports a docking port. The corresponding docking station (DS200) was included for our test device and made an overall good impression. 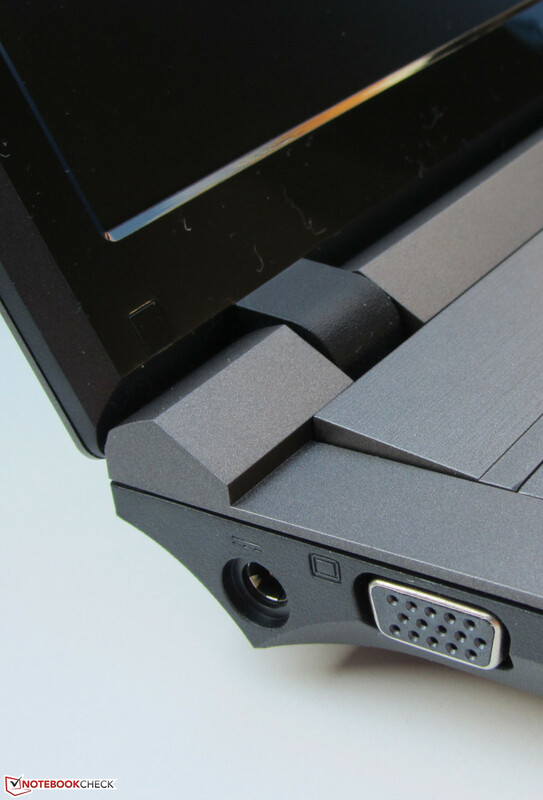 The laptop fits tight and can easily be un-docked via a big metal lever. This docking station costs 116.50 Euros (~$152) and another docking station is available with a 1 TB hard drive for 193.73 Euros (~$253). Docking stations are also available for the Lifebook E782 and Latitude E5530. The prices start at approx. 100 Euros (~$131, Fujitsu) and 110 Euros (~$144, Dell). 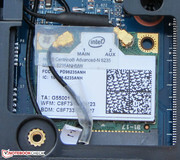 Both the Gigabit Ethernet chip (82579V) and the Wi-Fi module (Centrino Advanced-N 6235) come from Intel. The Wi-Fi module supports the 802.11 a/b/g/n Wi-Fi standards and includes a Bluetooth 4.0 chip. 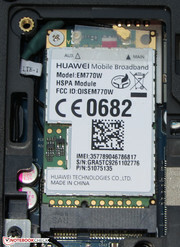 Huawei's EM770W UMTS module can be purchased for mobile internet communication. It costs just under 82 Euros (~$107) and enables download speeds up to 7.2 Mbit/s (HSDPA) and upload speeds up to 5.76 Mbit/s (HSUPA). These rates are naturally theoretical and depend on the mobile network's availability and traffic in every location. A 1.3 MP webcam is installed in the display bezel for participating in video conferences or making video calls. A Kensington lock slot is on the laptop's rear for physically attaching a lock-and-cable apparatus. Access to the system or internet services can be secured via the integrated fingerprint reader. Files can also be encrypted via the preinstalled software Authentic TrueSuite and KeepSafe. 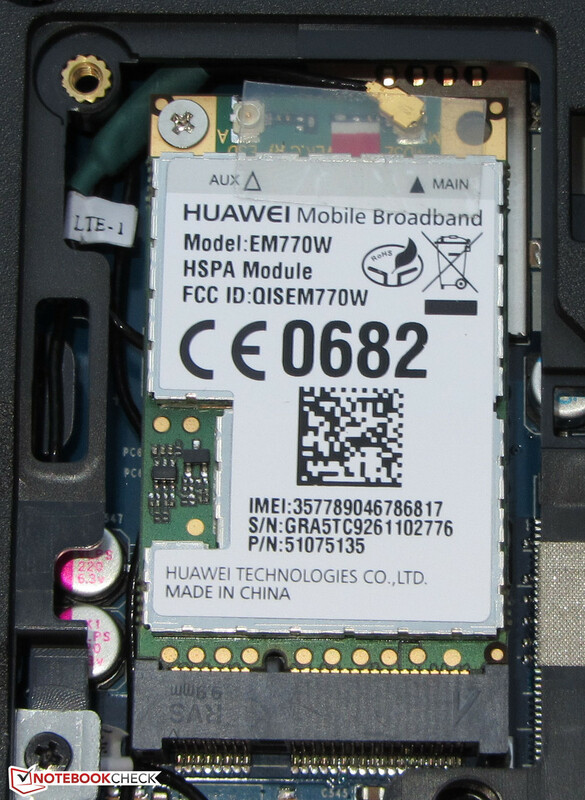 A Trusted Platform Module (TPM 1.2) is also installed in the B510. The B510's packaging contains a quick start guide and a CD with the burning program Nero 10 Essentials. There are no other accessories included. Windows 7 Home Premium (64 bit) was preinstalled on our test device. The "Professional" and "Ultimate" versions are also available. 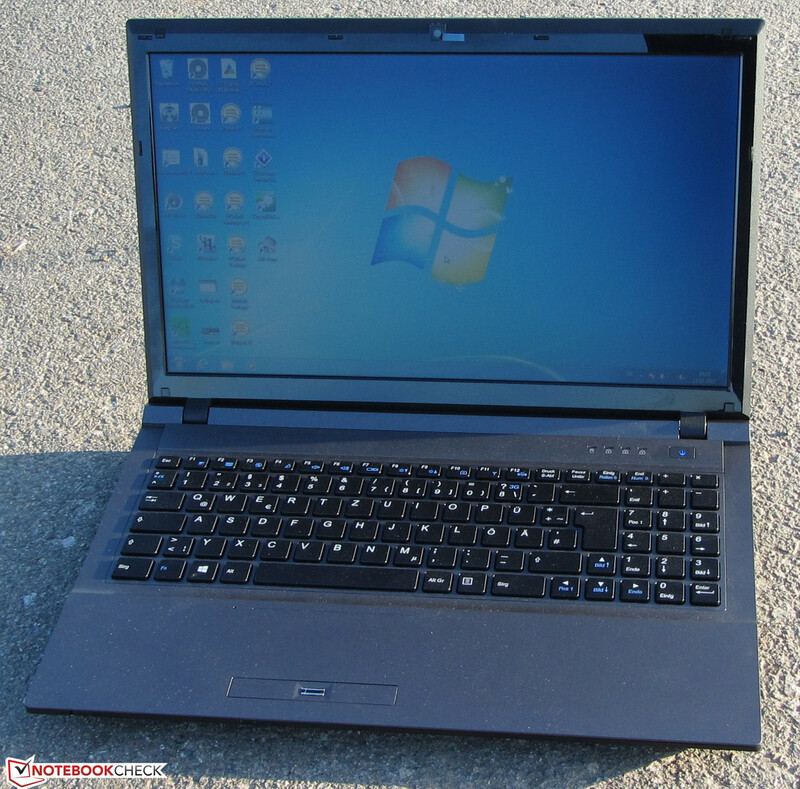 It is also possible to buy the B510 with Windows 8, Windows 8 Pro or even without an operating system. There is no recovery partition. If you are planning to reinstall the system or replace the hard drive, you will have to create a Windows installation image. Windows 7 users can alternately create a full version DVD of Windows 7. Our news article explains how to do this (text in German). Nexoc's B510 is exemplary in terms of maintenance. The hard drive is found behind a small maintenance cover and makes replacing it very easy. The big maintenance cover conceals the working memory, the processor, Wi-Fi and UMTS module as well as the BIOS battery. The laptop sports two RAM banks. 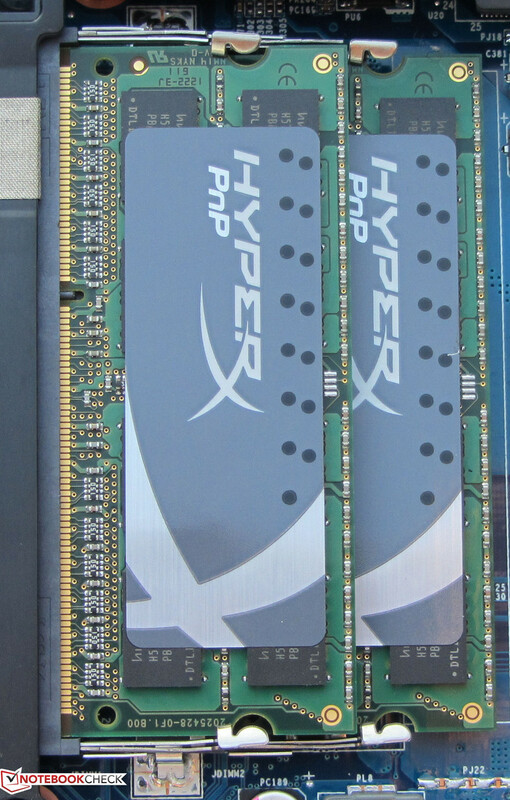 Our test device is equipped with two 4 GB modules and supports up to 16 GB of working memory. The entire cooling system is accessible and makes cleaning it easy. 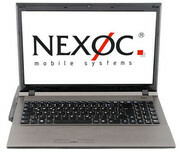 Nexoc includes a 24 month bring-in warranty on the B510, so the customer has to send in the laptop in warranty cases. The B510's warranty coverage can also be upgraded. A 24 month pick-up & return service costs just under 25 Euros (~$32) and 36 months adds roughly 66 Euros (~$86). 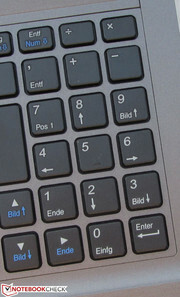 Nexoc's B510 sports an unlit chiclet keyboard including a number pad. The main keys present a size of 15 x 15 mm and have a pleasant feel. The keys exhibit a medium drop and a clear pressure point. The keyboard fits tight in the case and only yields marginally in the center when typing on it. Overall, the keyboard enables pleasant typing. The transition between the touchpad and wrist rest is seamless. 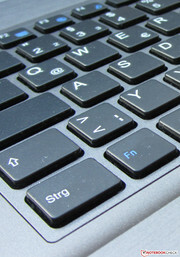 A border is only implemented as a rill above and through the mouse keys below the pad. Synaptics' touchpad features the same surface texture ("brushed plastic") as the wrist rest. The fingers mostly glide effortlessly over the pad, but the texture can slow down the finger when too much pressure is applied. 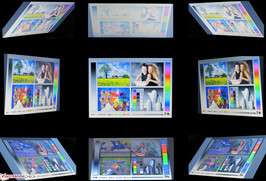 The pad has a size of 8.6 x 5 cm and is multi-touch capable. The various multi-touch gestures can be enabled or disabled in the configuration menu according to personal preferences. Two mouse keys are located below the pad. The fingerprint reader is found between them. The keys feature a short drop and a distinct palpable and audible pressure point. 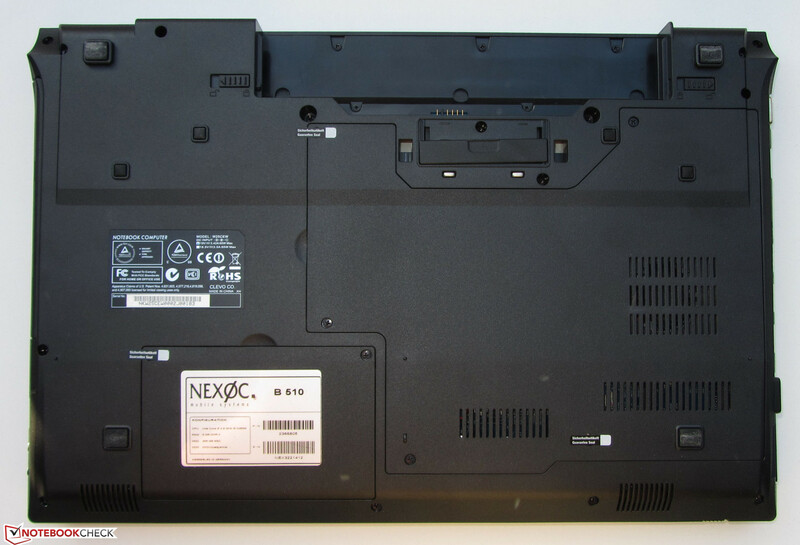 Nexoc installs a matte 15.6-inch screen with a native resolution of 1366x768 pixels into its laptop. There are no other screen models offered for the B510. 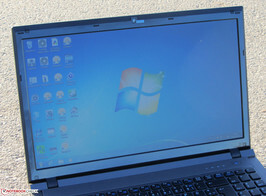 The Lifebook E782 and Latitude E5530 also feature a WXGA screen (1366x768). Dell's laptop can optionally be equipped with a Full HD screen (1920x1080) and Fujitsu's with a HD+ display (1600x900). The average brightness of 185.1 cd/m² ascertained for the Nexoc screen is in the lower midfield. 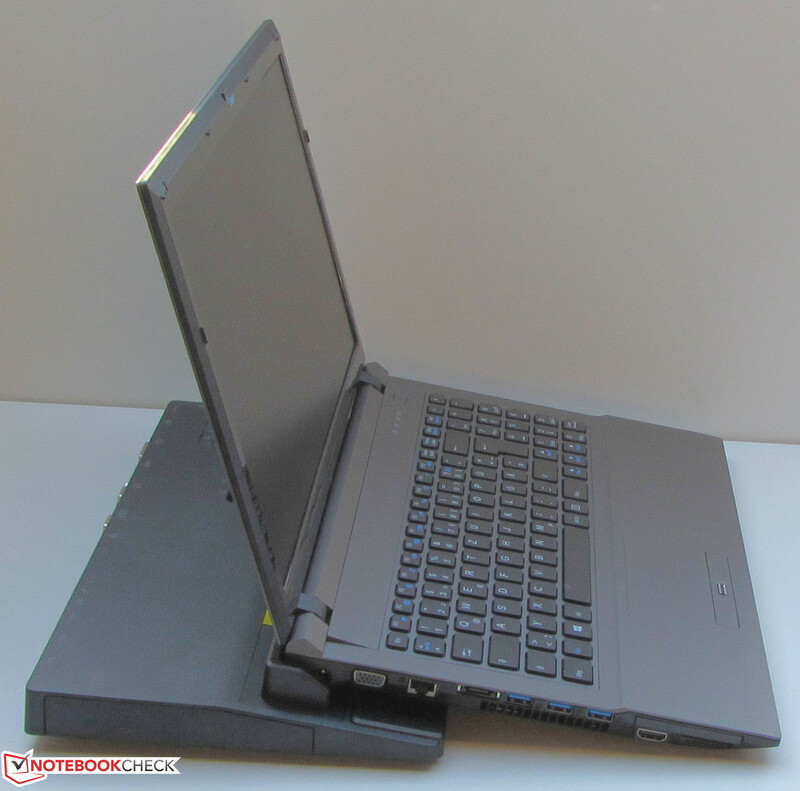 The Lifebook (197.8 cd/m²) and Latitude (210.1 cd/m²) do not differ much from the B510. The screen's black value of 0.6 cd/m² is within a good range. The contrast ratio of 335:1 is not exceptional, but acceptable. The comparable screen in Dell's laptop provides very poor rates (1.47 cd/m²; 150:1) and cannot excel over the Nexoc device. Neither of the two devices can compete with the Lifebook's very good rates (0.38 cd/m²; 518:1). 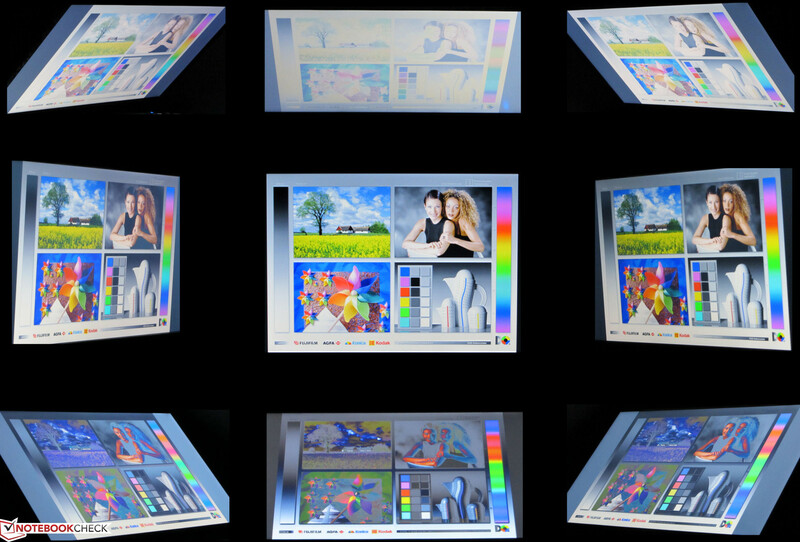 The B510's screen cannot reproduce either the sRGB or AdobeRGB color space. 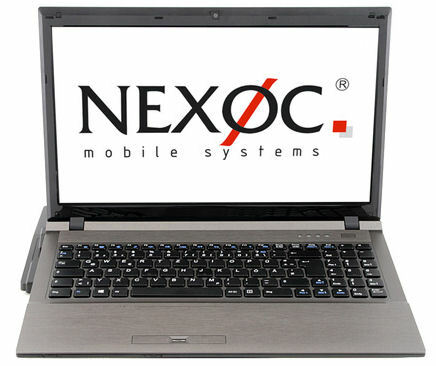 Nexoc's B510 is not recommendable for outdoor use despite its matte screen surface. The screen's brightness is too low. If the B510 is used outdoors anyway, it is recommendable to look for a shady place. The B510 does not stand out in terms of viewing angle stability and supplies the typical picture. 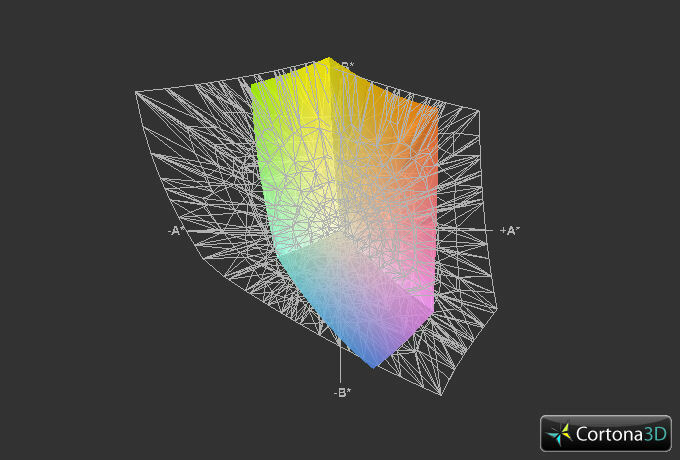 Changing the vertical viewing angle quickly leads to image distortions. The horizontal viewing angle is more generous. 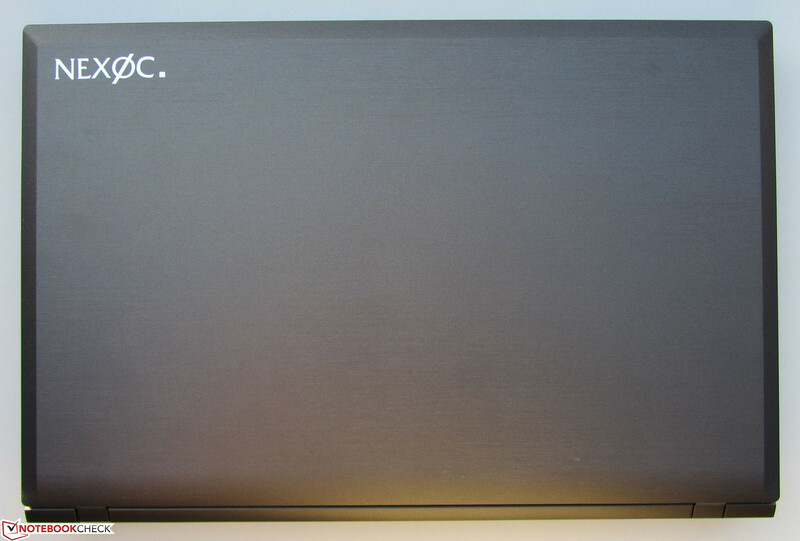 Nexoc provides a genuine business notebook with its B510. The customer can configure the B510 according to personal needs on Nexoc's homepage. For example, 8 processors ranging from Intel's Pentium B960 up to Core i7-3520M and 11 hard drive models are available. Our test device costs just under 1078 Euros (~$1412) without the docking station. The lowest-end model of the B510 includes Intel's Pentium B960 processor, 4 GB of working memory, a 320 GB hard drive and a DVD burner. This model costs approx. 576 Euros (~$754) without an operating system. Our test device sports Intel's Core i5-3360 dual-core processor, which is a member of Intel's Ivy Bridge processor generation. The CPU's default clock speed is 2.8 GHz and can be boosted up to 3.3 GHz on both cores and 3.5 GHz on one core via Turbo. The CPU always ran consistently at full speed in the Cinebench tests. The test results are on the expected level. 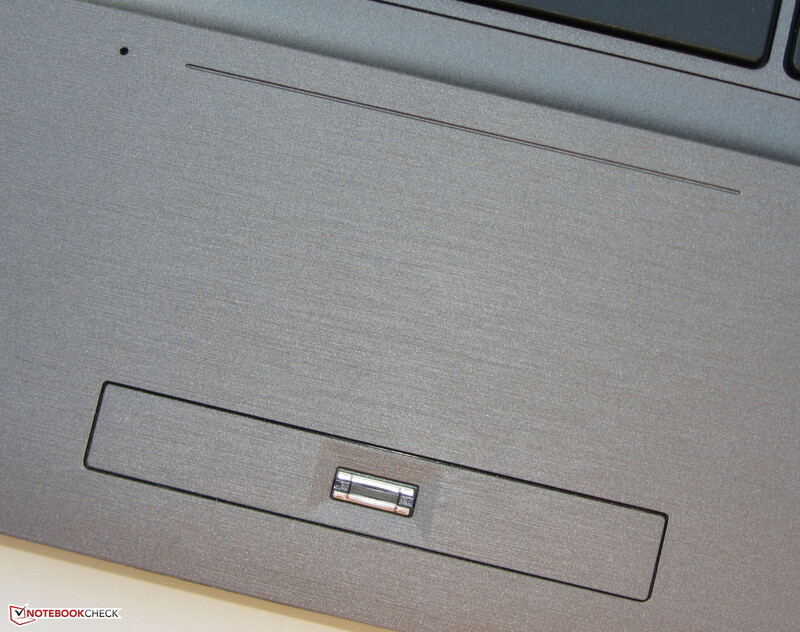 Fujitsu's Lifebook E782 and Dell's Latitude E5530 virtually exhibit the same results. This is no surprise as all three devices sport identical CPU-GPU equipment. Nexoc's B510 works very fast. Booting Windows 7 does not take much time either. This is due to the swift solid state drive. It also ensures that the B510 is far ahead of the Lifebook E782 and Latitude E5530 in the PCMark benchmarks. If these laptops were equipped with the same SSD, their scores would also be in much higher regions. 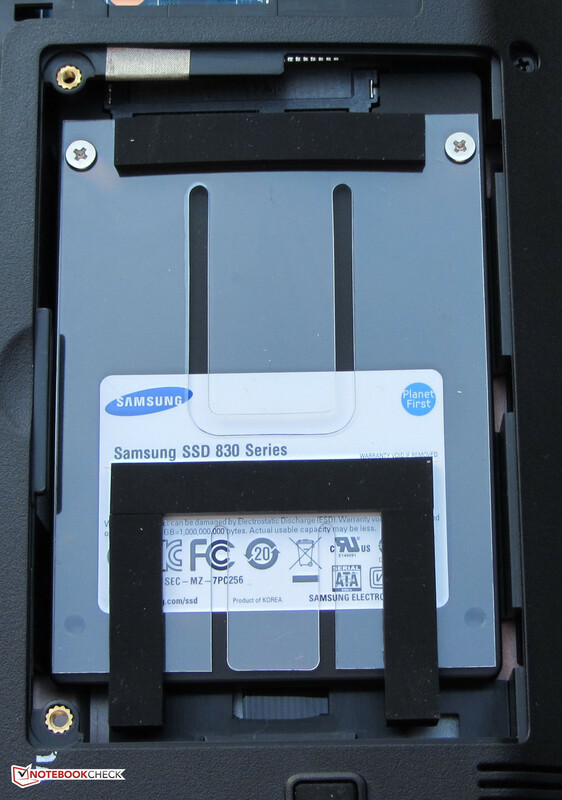 A solid state drive from Samsung (SSD 830-CXM03B1Q) works in the B510 model we were provided with. 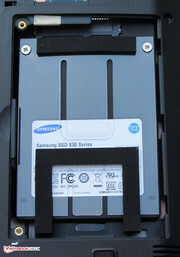 The SSD has a memory capacity of 256 GB. AS SSD recorded very good rates of 505.5 MB/s (read) and 412.92 MB/s (write). 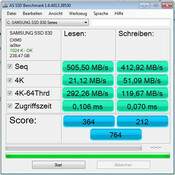 The read rates are on a par with comparable SSDs, such as its SSD 840 successor or the OCZ Vertex 4. 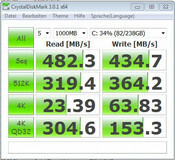 In return, the SSD 830's write speeds are much slower than the other two SSDs. The GPU in Nexoc's B510 comes from Intel. 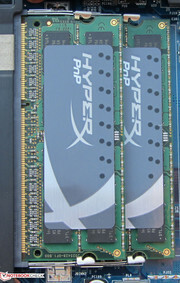 It is Intel's HD Graphics 4000 chip that clocks within a range of 350 to 1150 MHz and supports DirectX 11. The results of the 3DMark benchmarks are also on the expected level. Both the Lifebook E782 and Latitude E5530 achieve similar scores due to the same CPU-GPU combination. 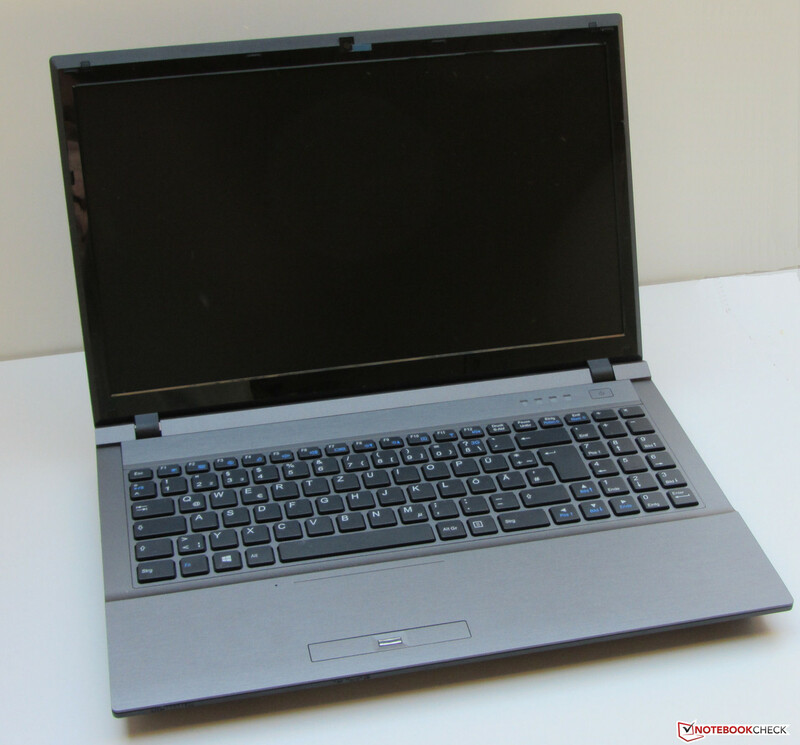 Nexoc's B510 is an office laptop and accordingly not much focus has been placed on gaming capability. The integrated Intel HD Graphics 4000 is at most suitable for gaming in low resolutions and low quality settings. The laptop can cope with undemanding games, such as the FIFA series, in higher quality settings and resolutions. The B510's working memory operates in a dual-channel mode, which is why the device supplies quite decent results in our gaming benchmarks. 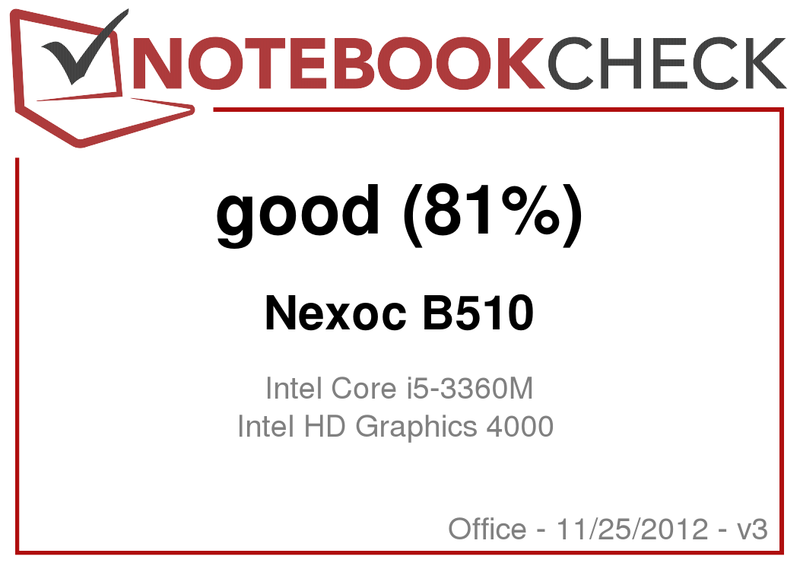 As expected from an office laptop, Nexoc's B510 is very quiet in idle mode. We ascertained a noise ranging from 31 to 31.1 dB. The noise increases to 35.4 dB when the DVD drive is used. The laptop's noise increases to 46.4 dB during full load (Prime95 and Furmark run). The laptop is a bit quieter in medium load (3DMark 06). The Lifebook E782's noise development is identical with Nexoc's laptop. Fujitsu's device is only much quieter in medium load (39.9 dB) and the Latitude E5530 is generally louder than both of the other laptops. The B510 maintained a pleasant temperature level during idle mode. We measured rates between 27.5 and 33 °C on the top and bottom. The temperatures ranged between 26.4 and 58.8 °C during full load (Prime95 and Furmark run simultaneously). The latter temperature was ascertained exactly on the bottom's center. The surrounding rates were lower by 15 to 30 °C. Consequently, it would be possible to use the device on the lap during full load when the thighs are slightly apart. The temperature on the wrist rest was 30 °C in all load ranges and could be used comfortably. Both the Lifebook E782 and Latitude E5530 exhibit a higher temperature development than the B510 but do not achieve a temperature peak of 58.8 °C. The CPU and GPU calculated our stress test (Prime95 and Furmark run simultaneously for at least one hour) at full speed. The CPU ran with 1.9 GHz and the GPU with 650 MHz when performing the stress test on battery power. The CPU's temperature settled to approx. 80 °C. The stereo speakers in the B510 are located on the bottom. They produce a clear but thin sound that lacks bass. A better sound experience is achieved with headphones or external speakers. We measured an idle power consumption of 9.8 to 14.1 watts. The Lifebook E782 consumes a bit more with 10.3 to 17.7 watts. 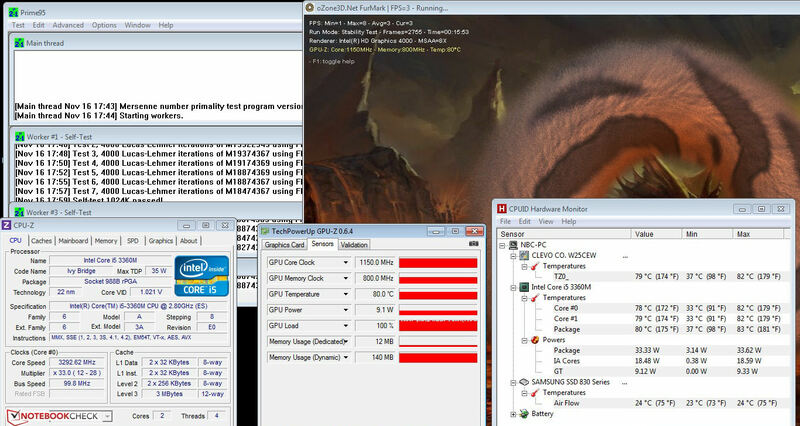 The B510's power consumption increased to 68.1 watts during full load (Prime95 and Furmark run simultaneously). Fujitsu's laptop is only marginally above that with 71.3 watts. 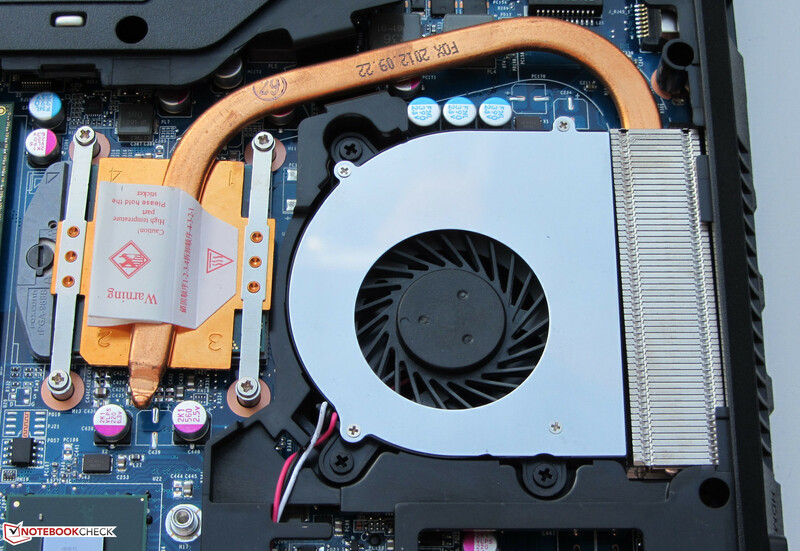 The PSU of Nexoc's laptop supplies a maximum power of 65 watts. The PSU's reserves appear to be sufficient since we did not experience any problems and the power supply did not overheat. The difference between the two devices is bigger in medium load (3DMark 06). While the B510 consumes 50.3 watts, the Lifebook demands 57.7 watts. The Nexoc B510 lasted for 6:50 h in idle mode. The Lifebook E782 manages a whole 40 minutes more. Both devices are clearly outperformed by the Latitude with 11:07 h. We use Battery Eater's Reader's test to simulate idle mode. The screen is set to minimum brightness, the energy-savings profile is enabled and the wireless modules are disabled. The B510's battery was first drained after 2:08 h of load (E782: 1:01 h; Latitude: 2:40 h). The load test is performed using Battery Eater's Classic test. 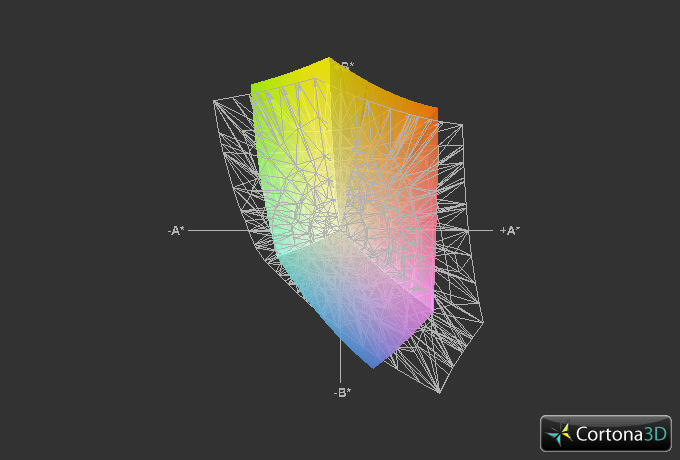 For this, we set the screen to maximum brightness, enable the high-performance profile and wireless modules. 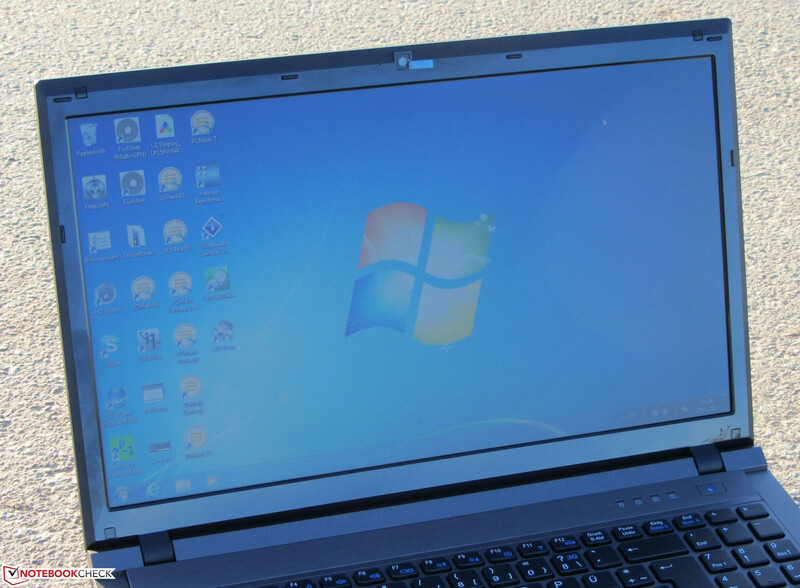 The B510 and the Lifebook are on a par in the Wi-Fi test with 4:36 h and 4:38 h respectively. Dell's laptop can clearly stand out from its contenders with 8:10 h. Websites are automatically opened every 40 seconds in this test. The energy-savings profile is enabled and the screen's brightness is set to roughly 150 cd/m². Nexoc's B510 (3:53 h) and Fujitsu's laptop (3:57 h) exhibit virtually identical runtimes in the DVD test. Again, the Latitude has the lead with 7:21 h in this comparison. The wireless modules are disabled, the screen is set to maximum brightness and the energy-savings profile or, should the DVD not run smoothly, a higher profile is used in the DVD test. 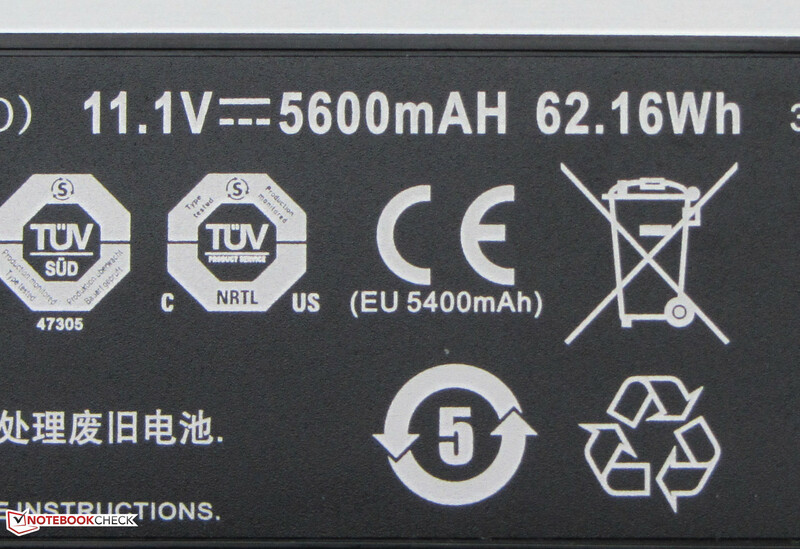 The battery in the Lifebook and Nexoc feature a capacity of 63 Wh respectively 62.16 Wh. 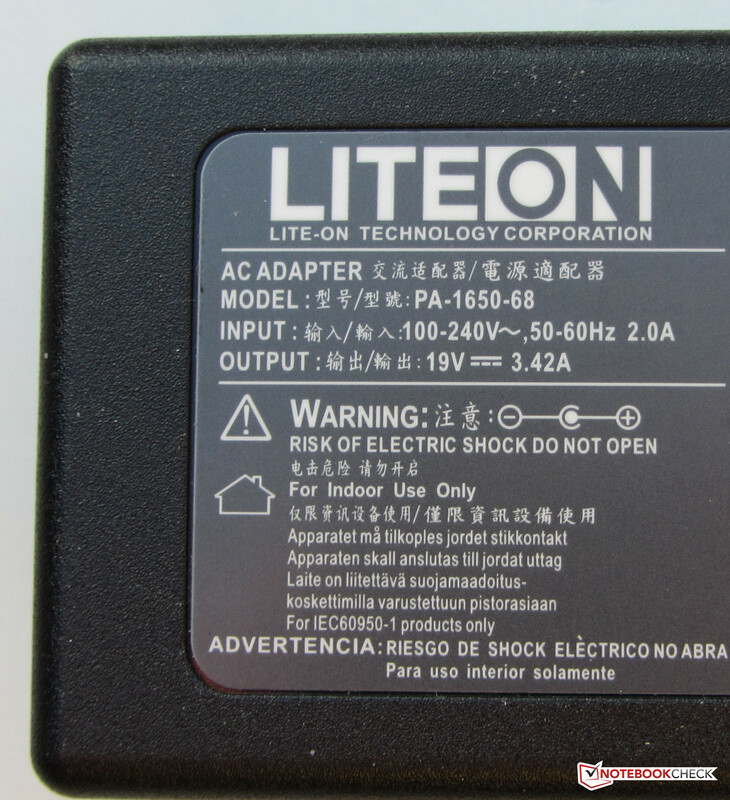 The Latitude model we tested came with a 97 Wh battery. Consequently, the runtimes are much longer than its contenders. 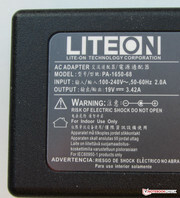 The battery runtime of both the Fujitsu and Latitude can be extended via an alternative or secondary battery. Nexoc does not offer any other batteries for its B510. With the B510, Nexoc launches an office laptop that supplies a very good application performance in the configuration we tested. We also found the extensive maintenance and configuration options appealing. Also, the swift solid state drive ensures a high work speed. 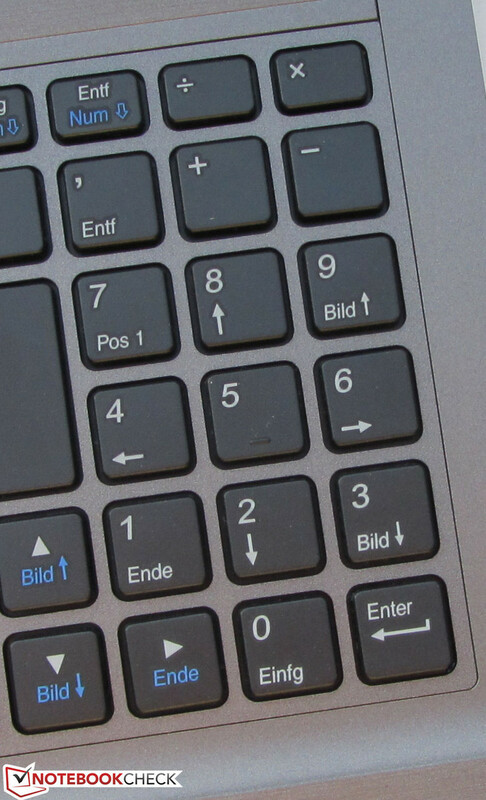 However, Nexoc demands a steep price of over 1000 Euros (~$1309) for a laptop completely comprised of plastic and which at most features a mediocre screen. However, it is possible to save and press the price far below 1000 Euros (~$1309) if you make compromises in hardware. 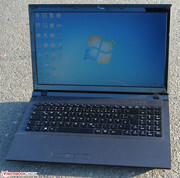 Should the screen be a purchase criterion, you should look at the Lifebook E782 which features a HD+ screen (1600x900). If you are looking for a very robust casing and a long battery runtime, you will not get around the Latitude E5530 with a 97 Wh battery. We also deem Asus' B43E-VO158X, for approximately 600 Euros (~$785), an affordable alternative to the B510. Its performance is lower than the Nexoc laptop, but it offers more interfaces. The B510 in the docking station. and provides a maximum power of 65 watts. and has a capacity of 62.16 Wh. 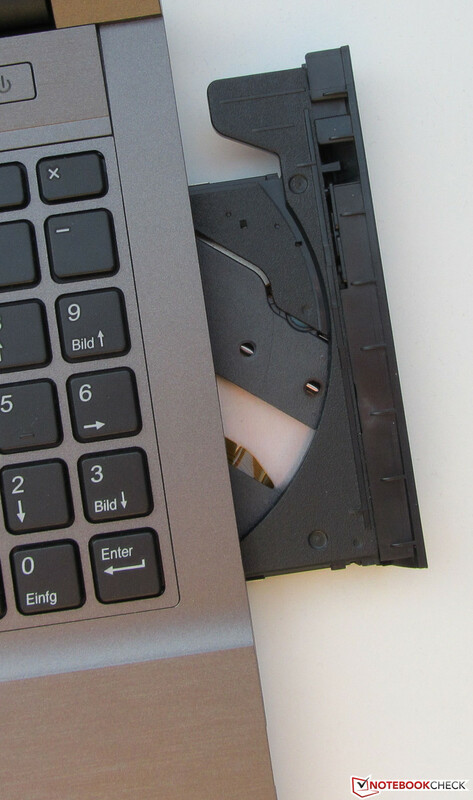 The hard drive can be replaced in two steps. The Wi-Fi module comes from Intel. Internet access is possible via a mobile network. The B510 sports two RAM banks. Two maintenance covers are installed. The keys feature a pleasant feel. 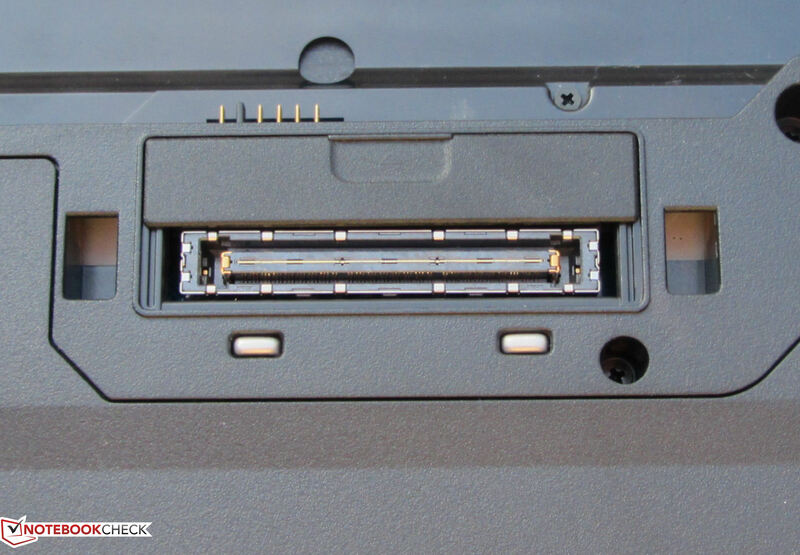 The SIM card slot is hidden in the battery compartment. 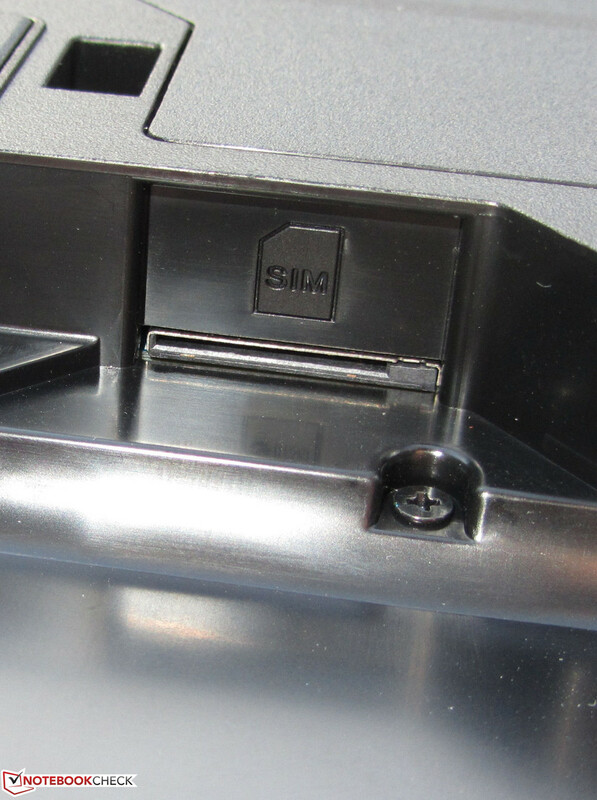 The docking port on the laptop's bottom. It can be ordered optionally. A better display. More warranty options. The B510 can be ordered in innumerable configurations at Nexoc.